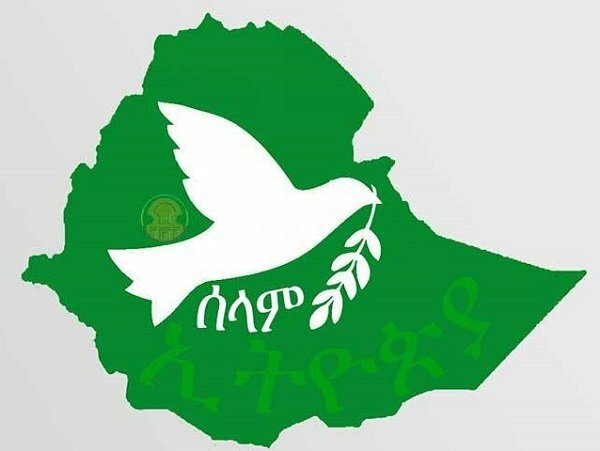 Ministry of Peace to be formed as Ethiopia is cutting down number of government ministries from 28 to 20. Ethiopia will have a new ministry – “Ministry of peace” – very soon. The new ministry will be given the mission to work on peace and rule of law in the country, according to a report on Friday by state media – Ethiopian Broadcasting Corporations – which cited chief of staff in the office of the prime minister. The ministry will be planning and coordinating activities that are relevant in “building a single political community based on consent,” as government puts it. The decision was apparently passed at the meeting of the council of ministers for the formation of this new ministry is included in the draft sent to the parliament for approval, and chances are the proposal will be approved. Internal peace has become a paramount challenge to prime minister Abiy Ahmed’s administration as ethnic-based violence is flaring up in different parts of the country. In the last two months alone, there have been deadly violence in Benshangul Gumuz region, in western Ethiopia, more than 80,000 people have been displaced and nearly 100 killed, in Keffa Zone in Southern Ethiopia, and even in Burayu, a town in western outskirts of the capital Addis Ababa. The rights of Ethiopians to live and work in different parts of Ethiopia have been in jeopardy, in contravention of constitutional rights of citizens, due to what seem to be radicalized ethnic politics. In a talk show appearance on EBS TV this week, former Prime Minister Hailemariam Desalegne openly admitted that government has made a clear mistake when it comes to promoting the rights of citizens as the emphasis was given to group right at the expense of citizenship right. Omens of anarchy in the military was also observed this past week when a group of soldiers marched to the prime minister’s office and forced their way to get inside. In a related development, Ethiopia is cutting down the number of government ministries. It was this week that council of ministers decided to make the number of ministries only 20, according to Solomon Yimer, borkena reporter in Addis Ababa. The number of government ministries was 28. The draft for the change is sent to the parliament and is expected to be approved this coming week. What that means is that Prime Minister Abiy Ahmed’s government will soon have a cabinet reshuffle. Unconfirmed social media reports say the current minister for the Ministry of Industry, Ato Ambachew Mekonnen (PhD), will be appointed as minister for Foreign Affairs Ministry replacing Dr. Workeneh Gebyehu.